Kanoriya Center For Arts, Kasturbhai Lalbhai Campus, Cept Campus. Navrangpura, Ahmedabad. 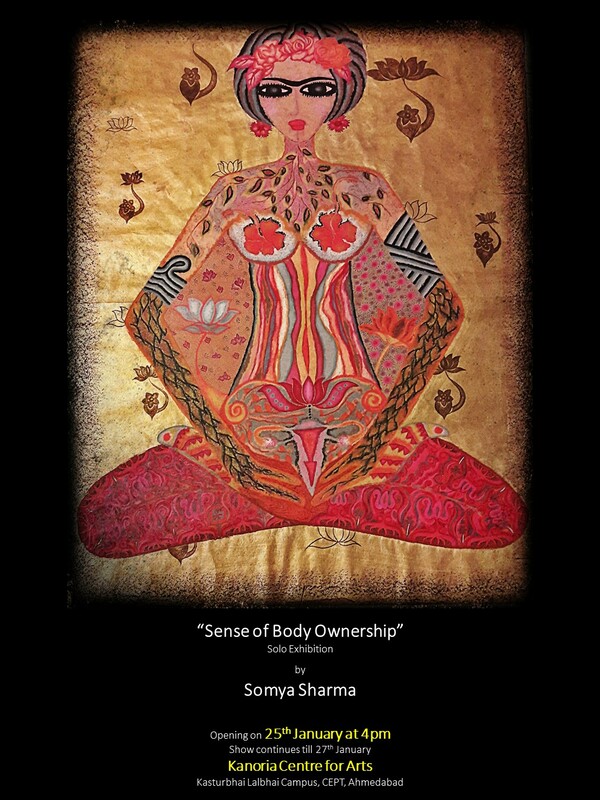 Sense Of Body Ownership – solo exhibition by Somya Sharma. The Show continuous till 27th Jan at Kanoriya Center For Arts.